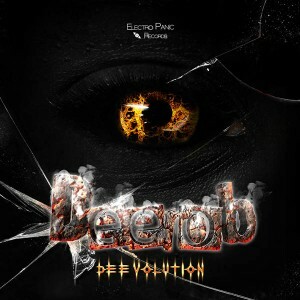 Released by Electro Panic Records, Deevolution is the first album by Deerob, a 25 year-old EDM producer and studio engineer born in Germany and currently living in Finland. After rocking out in metal bands as a guitarist and drummer he began producing psy-influenced electronica as Deerob in 2008. Now, after many years of experimentation, Deerob is ready to introduce his entrancing mix of rock and entrancing EDM elements to the world. Guest on this album include None Like Joshua (vocals), RomyHarmony (vocals), and Roland @ Hard Drive Sounds (guitars). Mastered by Deerob Mastering with artwork by HusO_o. MP3 Download | FLAC Download | WAV Download · Download count: 8,178. The Pop-psytrance itself. And yeah, the same as Infected Mushroom. I’ve listen psytrance since the 90 and this is a very good album, with a lot of energy. Yes it is influence by Infected and Vibe Tribe… but not in a bad way. Concentrate yourself on the good critics, because you.ve done an amasing job ! Stupendous rhythms and melodies. Super !!! Yeah, this album is great and totally deserves a much better rating! pop vocals and rap parts are totaly horrible and destroy every psychedelic flair….the rest is very energetic, interesting , powerful and happy, the guitar parts as well….i’m confused. I love it, it’s awesome ! I agree with LeMozz, Shaman Flux and everyone else who thinks this album is amazing. Great energy, superb melodies and I enjoy how busy the tracks are, it really stands out from the boring and repetitive psytrance all the haters in the comments think this album should sound like. Really like the emphasis on the melodies and guitars and less on just blasting the listener away, it’s what makes this album so great. Even though I can hear the Infected Mushroom influence, this album feels unique and I love it!! Keep it up man, great mastering and awesome work! And I agree with SpaceRabb1t – there’s nothing wrong with influences, everything is influenced by something. The talent is to take the influences and make them yours. This album is a great example of it; full of unique ideas, creativity and pure skill. And it really doesn’t get boring, there’s plenty of variety and details to keep the listener intrigued. Every listening time reveals something you didn’t pay attention to before. Recommended big time! one of the craziest albums ive ever heard!!! thank you!!! I agree with the positive reviews. Been listening to this for a month or so and keep coming back to it. Very well produced and has some great melodies. Only complaint would be that some of the best/funkiest/melodic parts do not last long enough. Wow, sounds awesome. I hear some of the OLD infected mushroom influences in the songs. Keep it up!! !